There, I said it, and it feels good to get it off my chest. You see, I’ve been dabbling in fermentation for quite some time. 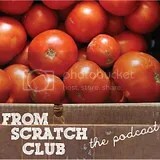 I have brought milk and water kefir grains to food swaps and discussed probiotics with the best of them. I think a glass of water kefir with a splash of juice tastes like a nice fruit juice spritzer. I enjoy milk kefir with a bit of maple syrup or fruit puree. However, I think kombucha tastes like vinegar, and it’s just not something I want to drink. I had tried it at a food swap and thought it was too vinegary, but I thought maybe it would taste different if I made my own. So I got a scoby from a friend a year or so ago. I knew she had extra, and I wanted to see what this mushroom mother was all about. I brewed some green tea and watched with fascination as a new scoby formed. But as I tasted the results, I had to admit that this beverage is not for me. But I didn’t want to give up on kombucha just yet – I like watching it brew and want to include those other variations of my probiotics in my diet. So, what’s a fermenter to do? I researched some other ways to use kombucha besides drinking it, and I’d thought I’d share in case others also find the beverage distasteful for drinking. Basically, you can substitute the vinegar in recipes with kombucha. I have done this quite successfully in the past with vinaigrettes, and brought the salad dressing to a food swap using recycled/redecorated salad dressing bottles. 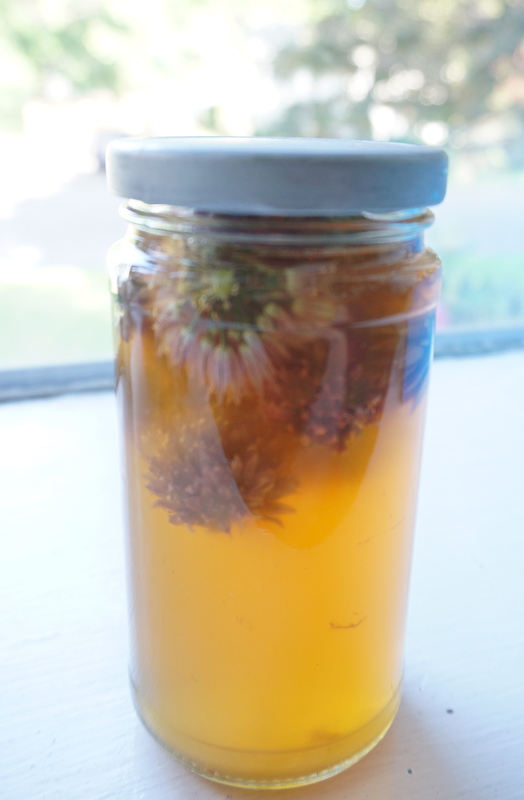 I recently made chive-flavored “vinegar” by soaking chive blossoms in kombucha. 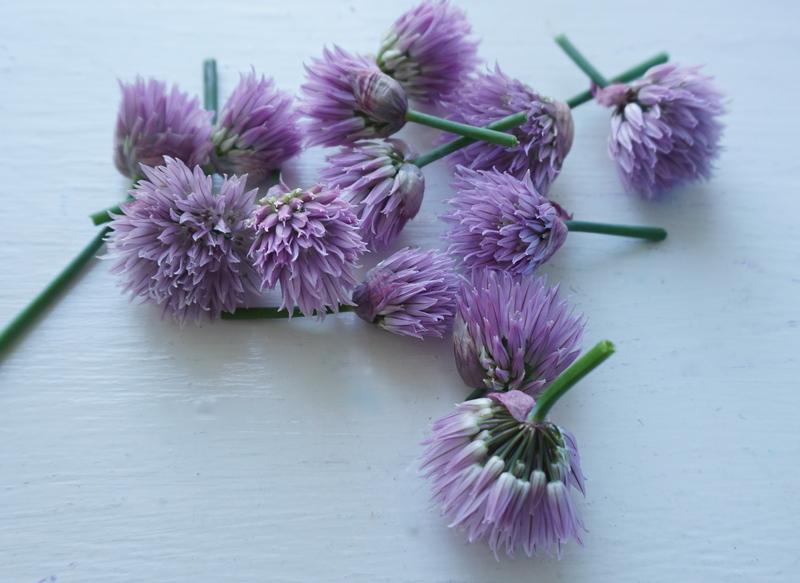 It didn’t turn the bright pink color that chive blossom infused white vinegar does, but it is a delicious addition to salad dressings. I have also used kombucha to make mustard for my husband. I happen to strongly dislike mustard, but my husband loves it. The process and recipe is simple. Pour ½ cup of whole mustard seeds into a small glass jar, add raw garlic if you like, and then cover the mustard seeds with kombucha. Store covered (can either cap with a lid or with a paper towel secured with a rubber band) in a cool dark place for at least a week . To tell the truth, I let mine ferment for more than a few months, and had to top off the mixture with additional kombucha once or twice as the seeds soaked up the liquid. Then blend the mustard in a food processor with salt, pepper, and other spices to taste, making the mustard as smooth or course as you like. My most favorite way to enjoy kombucha is a bit strange. I like to pour it on my hair in the shower. Like apple cider vinegar, when used as a rinse, it acts to seal the hair follicles and brings extra shine (and quite possible a distinct smell) 🙂 to your luscious locks. I’ve read that infusing the kombucha with fresh rosemary or rosemary essential oil can make it a tick repellant – this is something I’ll have to try as the ticks have been plentiful this summer. I hope you’re able to try some of these uses of kombucha, whether or not you enjoy its taste as a beverage. Enjoy!